THE DEVICE OF THE FUTURE IS HERE NOW! This watch is the stuff of secret agent movies. With the appearance and functionality of an elegant watch, no one will guess it contains a high-tech recording device. 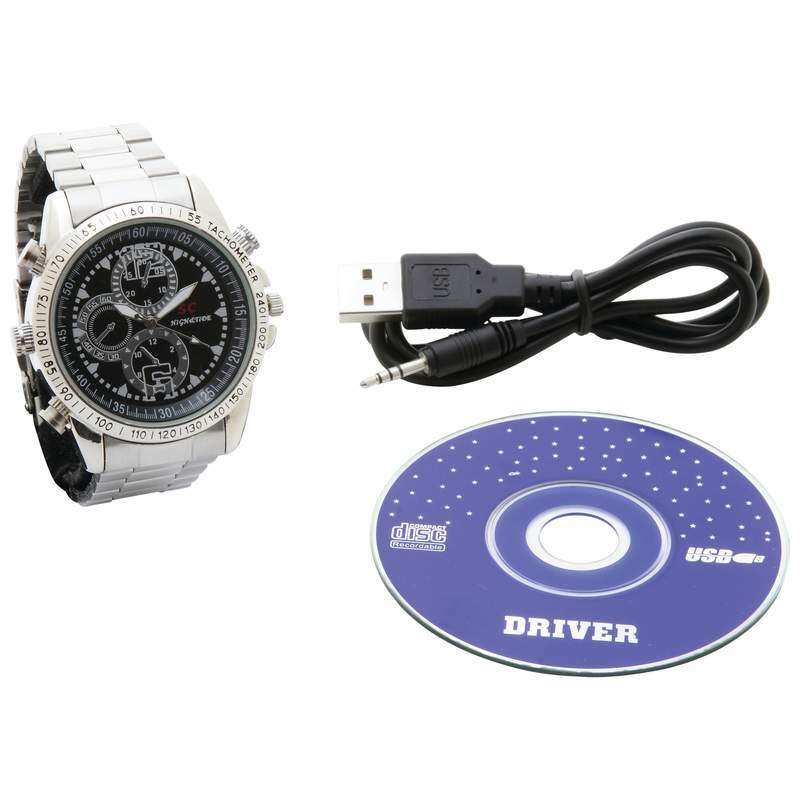 Features USB cable, user manual, 2.0 USB transfer rate, flash memory, software installation CD, LED indicator, 4GB memory, 30 fps 640 x 480 AVI video format, 1600 x 1200 JPEG image format, free driver, and built-in high capacity lithium battery. Gift boxed.